who said you can’t wear black and navy blue? In this dark and mysterious palette we should think of the black as the dominant colour and use the navy blue as the ‘feature wall’ as one would do in interior decor. It’s the two colours that men would never wear together because firstly it’s two dark colours together; secondly they find it very hard to match it up. The importance of these two colours is to make sure that they are complimentary to each other . 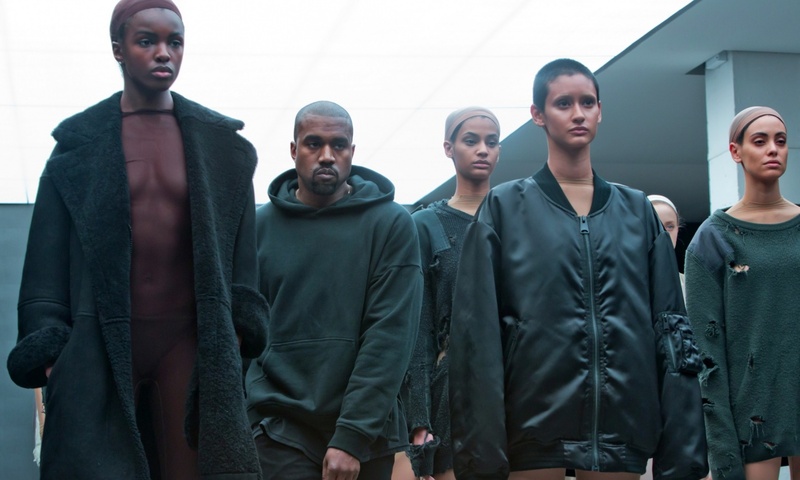 Winter is approaching and that means we need to purchase clothing that has a dark hue. This look is for those guys who tend to always wear head-to-toe black to most occasions. A way to add a small extra dimension without a “pop of colour”. 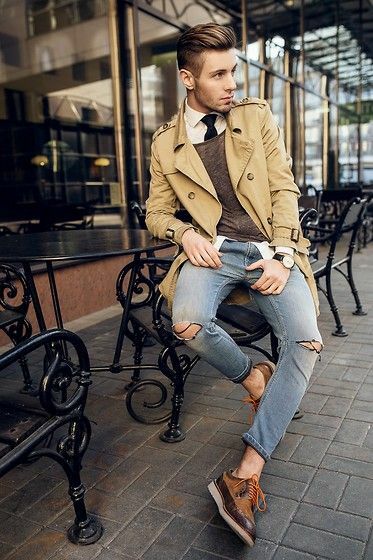 It’s the best decision for fall because you are allowed to add a few extra layers. Black and navy looks good together, its sophisticated and it is a great colour combination throughout the year. 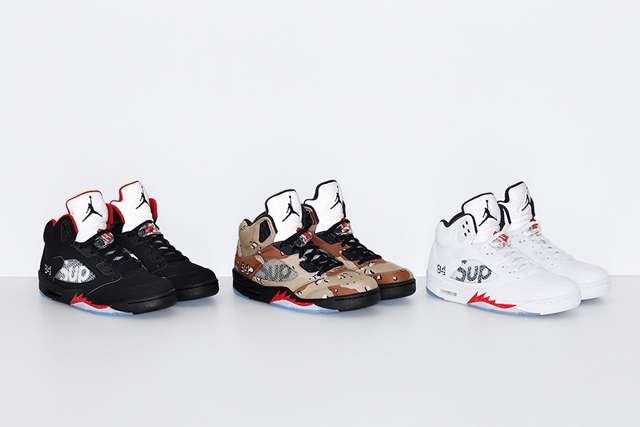 The sneaker heads will be amped to know that the highly anticipated collaboration between ”Nike Air Jordan 5 x Supreme” will be released on the 16 October 2015 at selected stores worldwide. 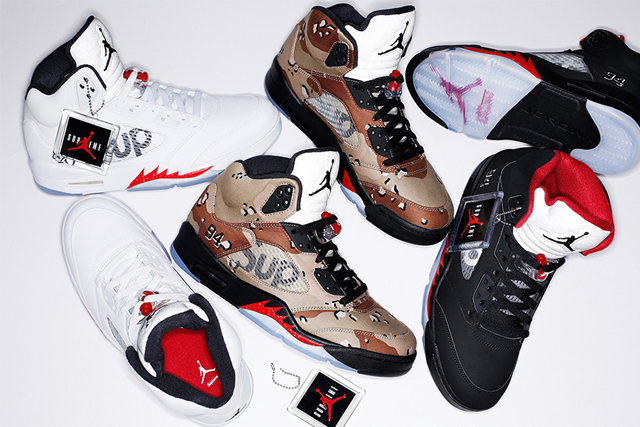 The three-pair collaboration will feature the partnered Air Jordan 5 in a camouflage, black and white colorway with an underlaid Supreme logo at the lateral side, 3M hits, a special 94 embroidery, custom hang tag and a clear, icy sole. 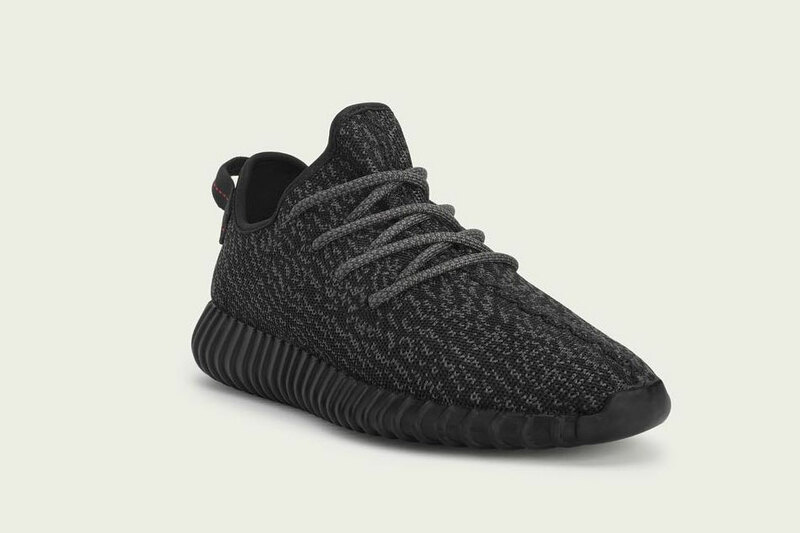 The sneaker will be released online and will be available for purchase through the online store. From 21- 24 October 2015, 37 designers will showcase their Autumn / Winter collections for 2016 to key media and buyers, with 17 of these designers being introduced to the SA Fashion Week (SAFW) platform for the very first time. Day 1 of SA Fashion Week will again start with the official Cruz Vodka Opening Party, a networking session not to be missed – where invited guests will mingle with the who’s who of the South African Fashion industry at a secret location which will be revealed closer to the time. Rimmel will provide international makeup looks for the models. 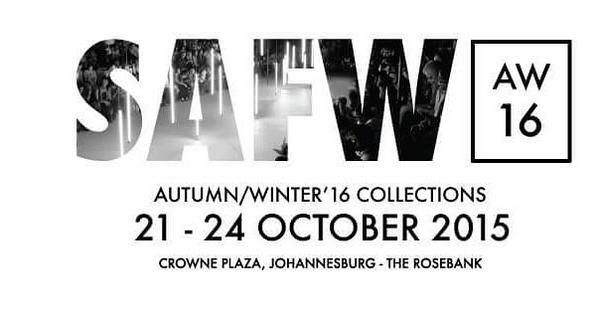 Lufthansa will once again fly international contributors to SAFW A/W ’16. 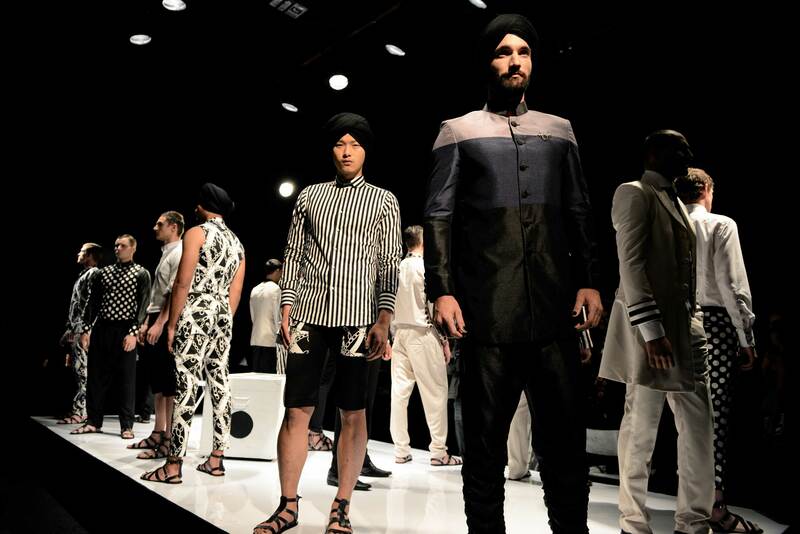 For a third consecutive season, the final day of SA Fashion Week will be dedicated to Menswear. 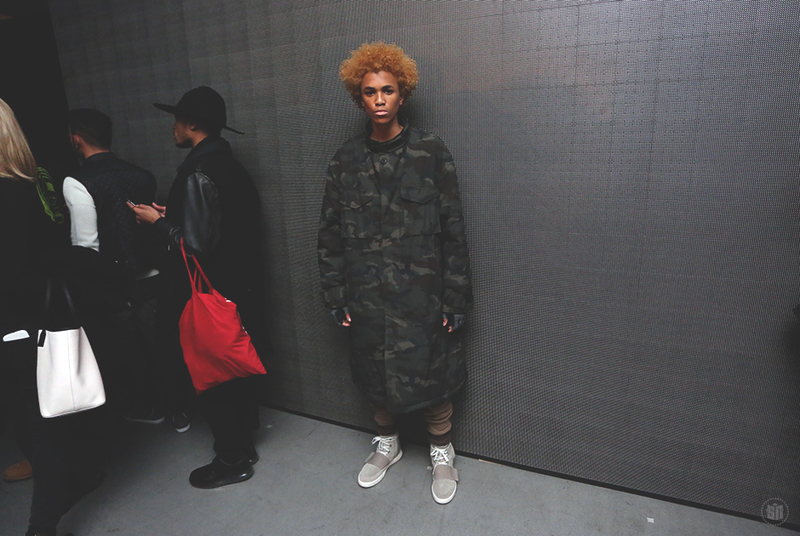 Autumn / Winter 2015 saw the launch of this dynamic concept, a first of its kind for South Africa. A/W ’16 will again showcase Menswear designers, as well as launch the winner of the SA Fashion Week Scouting Menswear Competition into the Creative Fashion Design Industry. The Menswear Collections were mostly bespoke and the designers made everything to order, but for the past 4 years SAFW has focused on developing the Menswear Collections and the Menswear Fashion Industry in South Africa as well as other African countries, with brands such as Esnoko from Zambia. This year will also see the evolution of the Buyer’s Lounge, into the SAFW Fashion Trade Event, which is in keeping with the SAFW mission n of connecting designers to retailers and buyers. 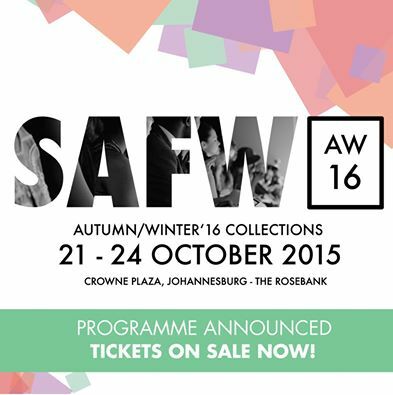 The SAFW Fashion Trade Event will run from 24 – 26 October. First launched in 2010, the SAFW Buyers’ Lounge is a business-to-business opportunity to market the seasonal collections to an extensive database of buyers ranging from the chains to the independent boutiques. It also offers buyers a closer look at the collections, establishing closer ties with the designers. This season, SAFW has carefully curated 40 top designers exhibiting, selecting only the best of the best, with a whole new section of the Buyers Lounge being dedicated to Menswear. Although the designers can still only supply small quantities, we are confident that there are designers that are ready to sell quality garments to selected menswear outfitters, deliver on time and at the right price points. The Autumn / Winter 2016 collections will take place from 21-24 October 2015, with the Buyer’s Lounge (SAFW Fashion Trade Event) operating from 24 – 26 October 2015. Tickets are available from Computicket as well as the SA Fashion Week website (www.safashionweek.co.za), and range from R100 – R175 per person per show. Tickets are limited. 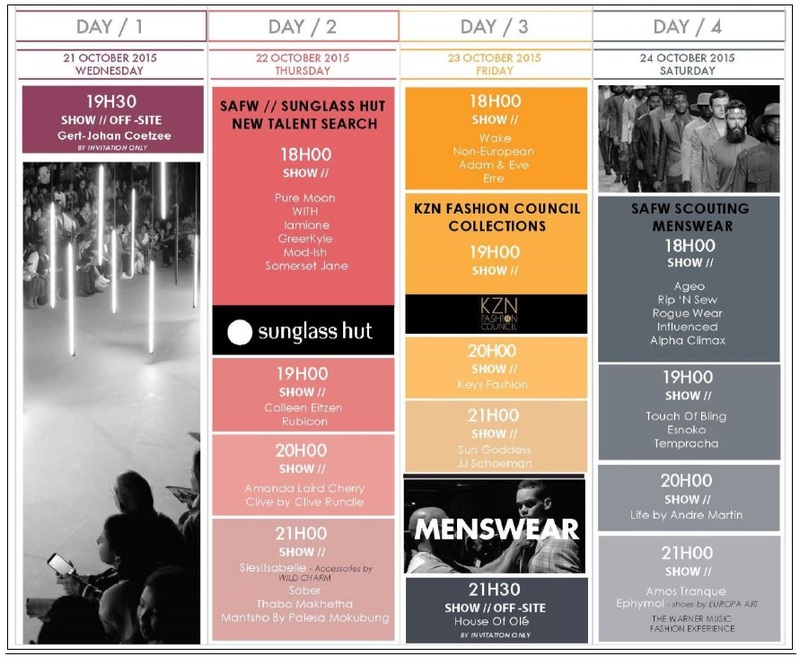 For more information, please visit www.safashionweek.co.za, or contact the SA Fashion Week office on 011 442 7812 / info@safashionweek.co.za. 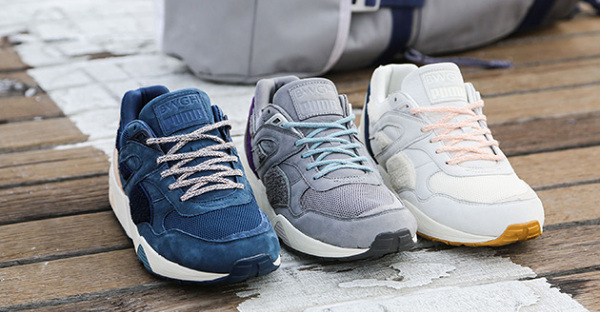 #Represent698 in the latest Trinomic R698 colourways. Released in the 90’s as a runner, this silhouette has been reinterpreted & revived to fit modern sneaker style, but still stay true to their roots. The collection will be available at selected stores around Mzansi. Keep following ”The Bizniz Blog” for more information. I have always seen and noticed so many gorejous ladies been dressed by ”Tracy Gore”. Who i soon got to know as a fashion owner and a designer for the brand ”Gorejous”. The brand was started out by Tracy who after losing her job in the film industry had to go and seek alternative employee, which in her case ended up in a business and fashion brand. ”Being a fashion designer has always been a dream of mine so after getting retrenched from the film industry, unable to find a job, i decided to create one and finally take the step of building my dream job. I taught myself to sew and through hard work and determination Gorejous was born. I’ve dressed some of the most Gorejous women in South Africa as well as being featured in Elle and Cosmopolitan magazine. Check out the complete ”Gorejous Man” summer collection. If you want to place an order, you can place orders which can be delivered all over Mzansi on her website. 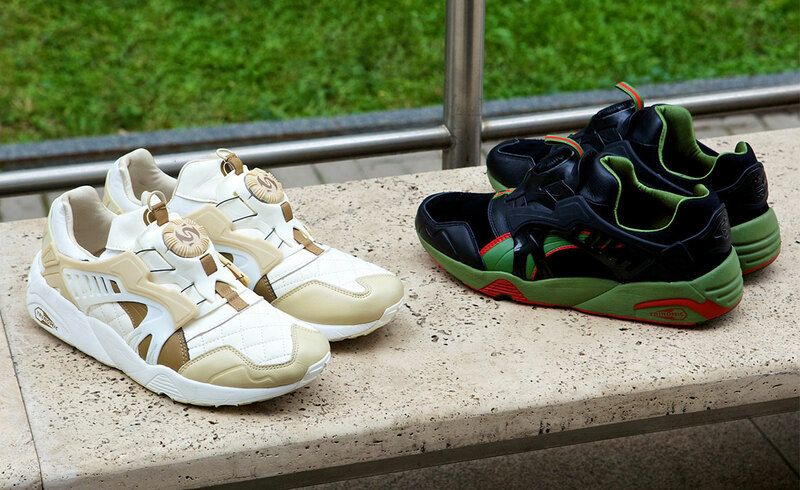 The next big thing and one of the most anticipated sneakers to be released following the success of the ”Kanye West x Adidas Original” collaboration. 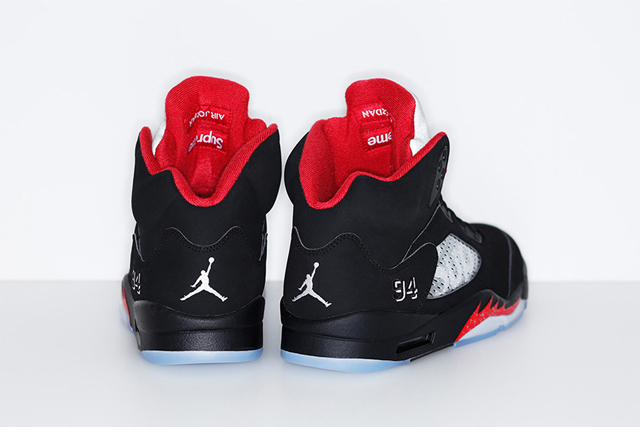 The sneaker which will be released on the 22nd of August 2015 at selected stores throughout Mzansi. 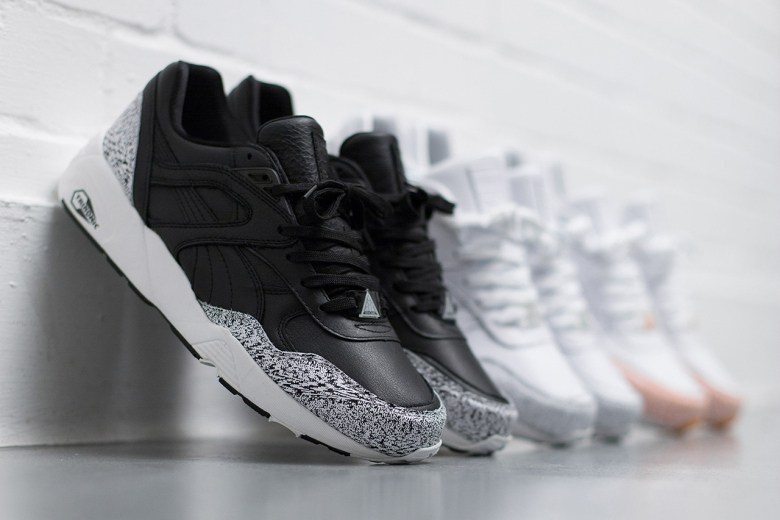 The sneakers are rumoured to be retailing at R2999.00 and mentioned that only 30 pairs are available at both stores. 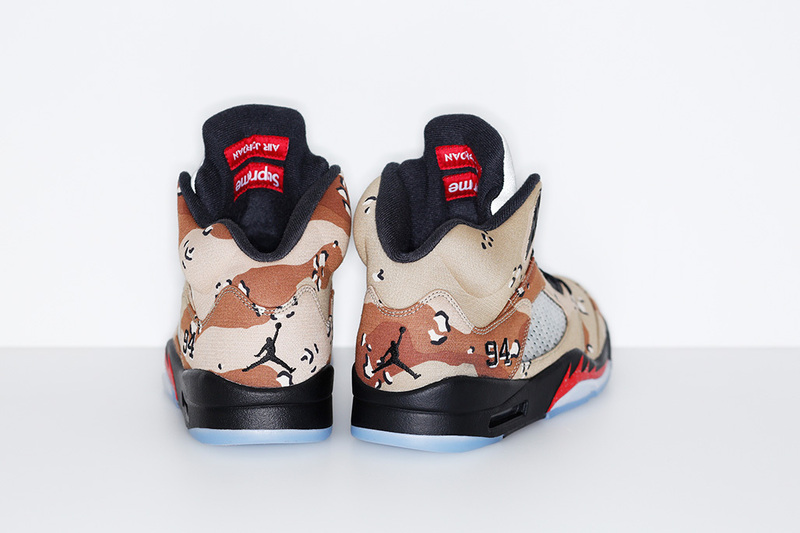 Its funny when you talk to the guys who label themselves as ”Sneakerheads’‘ and you ask them ”So what sneakers do you own?” and the only thing they say are ”Nike Air Jordans”, which according to wikipedia is the correct answer if we were still living in the year 1985. The perks of my job as a footwear buyer, I engage and meet the people who basically put on the shoes of the thousands of feet in Mzansi. 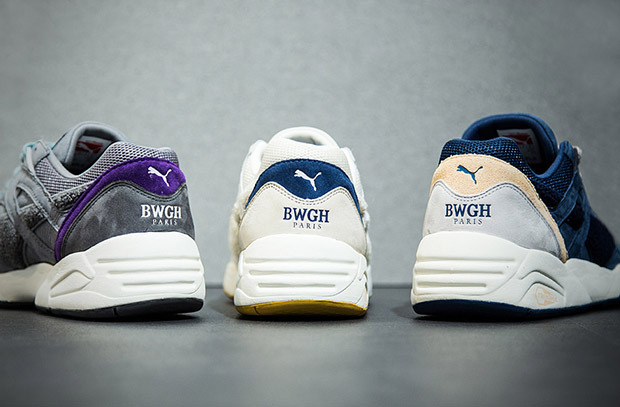 I have never been a PUMA kind-of-guy when it came to any of their sneakers, as it reminded me of that little speedcat either next to a BMW or Ferrari badge. Which when you speak to any oak on the street, will mention that it was worn by a very specific market and was dressed up with bootleg jeans. 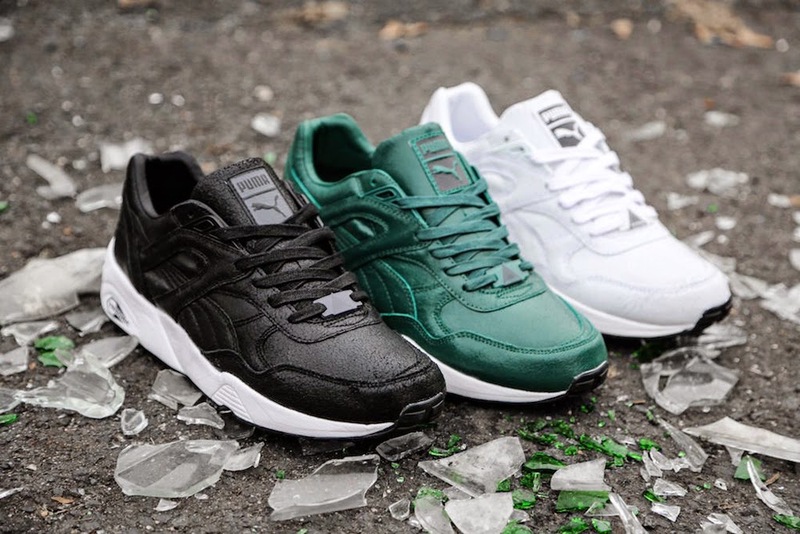 I then i got a chance a cop my first pair of ”Puma R698 Splatter pack” sneaker, which if you were following the blog would have seen made quite a few appearances on social media channels. And after copping this pair and than dedicating it to #TrinomicTuesdays which i been wearing ever since only on a Tuesday. I needed to get my hands or rather my feet in a few more of these little sneakers. 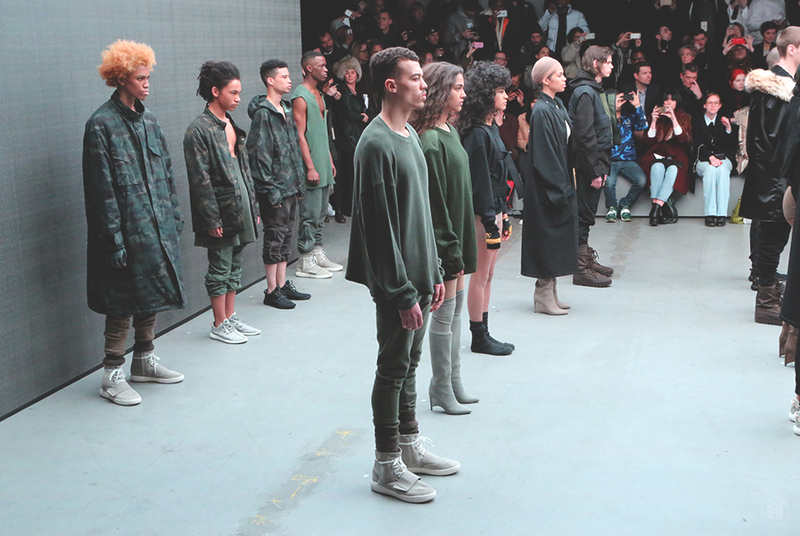 The fashion world awaited for the revealing of the ”Kanye West x Adidas” Yeezy Boost Line at a show in this years New York Fashion Week. 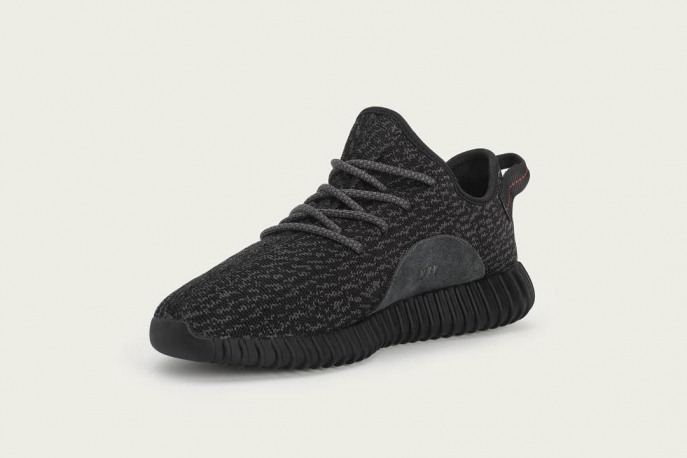 Whether it was out of curiosity or just wanting to see what Mr West had to offer with this collaboration with Adidas. 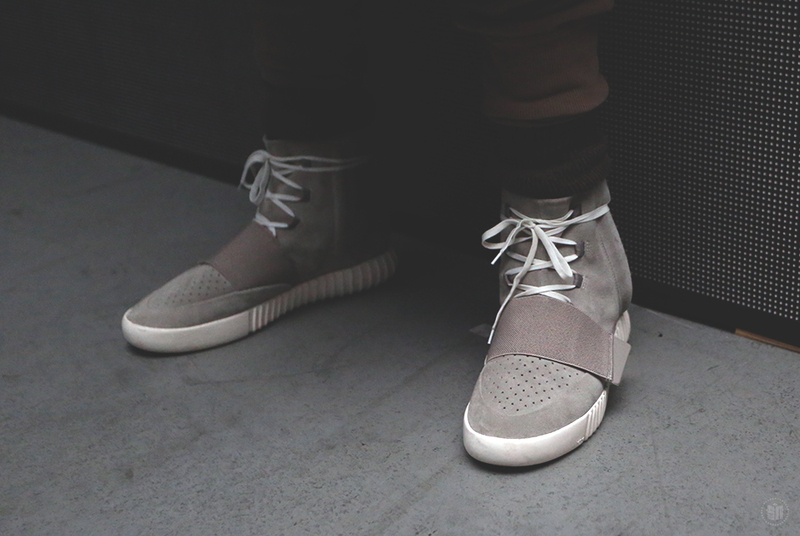 It was a further release to the ”Yeezy 750 Boost” boot which will be released worldwide on the 14th February 2015. 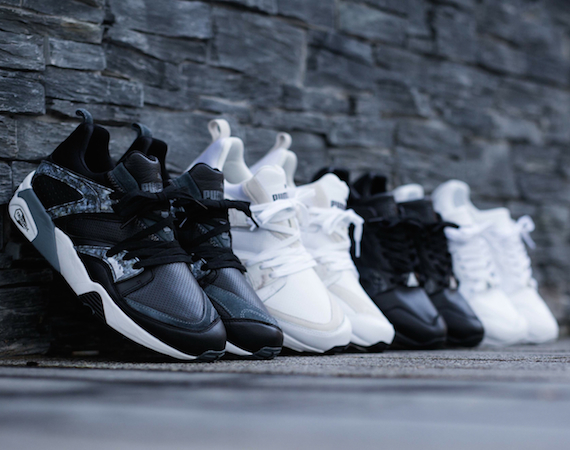 The release is set to be launched at $350 price tag and in which will only be 1 of 9000 pairs worldwide. 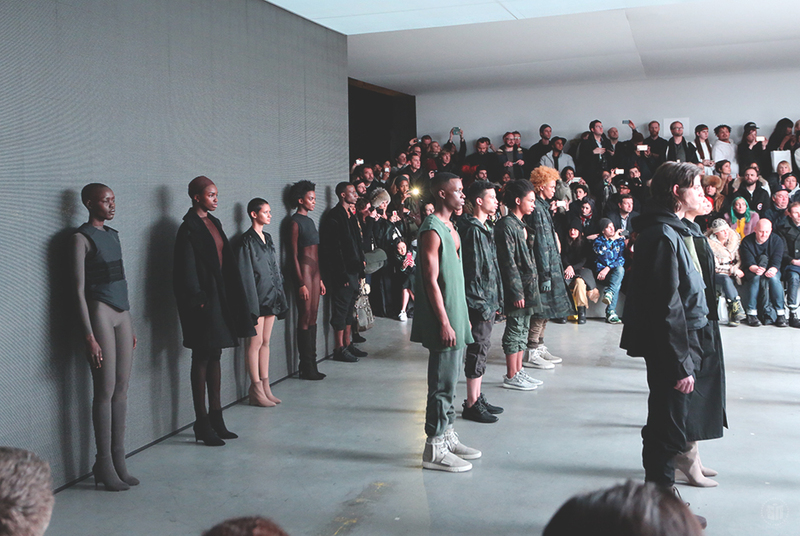 A mysterious Yeezy website with a countdown clock had gone up last week to stoke excitement over the highly anticipated release, West’s inaugural collaboration with Adidas Originals. 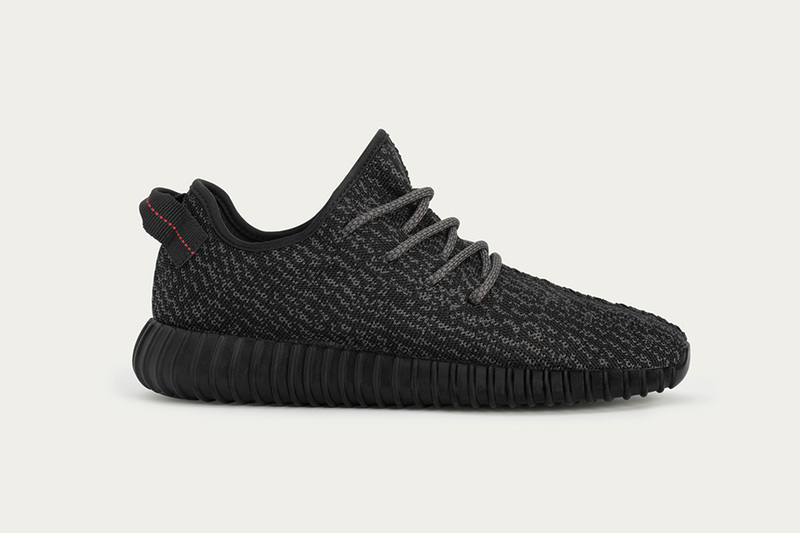 An app was set up to take reservations for the gray suede high tops, to be collected and paid for at Adidas and other stores in New York City on Saturday, only for the moment. 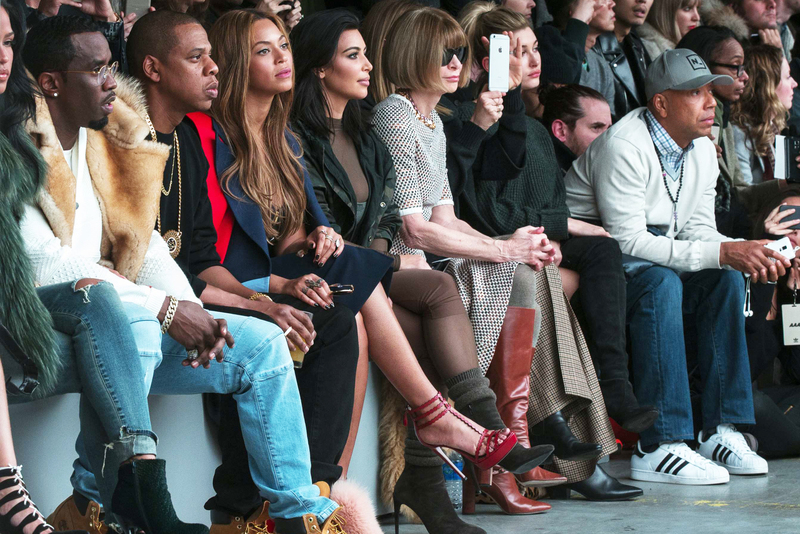 The front row to the show was filled with a host of celebrities pulling through to view the inaugural collection range. Jay Z, Beyonce, P Diddy, Big Sean, Justin Bieber, Kylie Jenner, Kim Kardashian and Russel Simmons. The collection in which we saw models wearing minimal neutral tights or street wear in red, green and black to let the shoes shine in a tech-driven unveiling that included a simulcast to 42 theatres on three continents around the world. 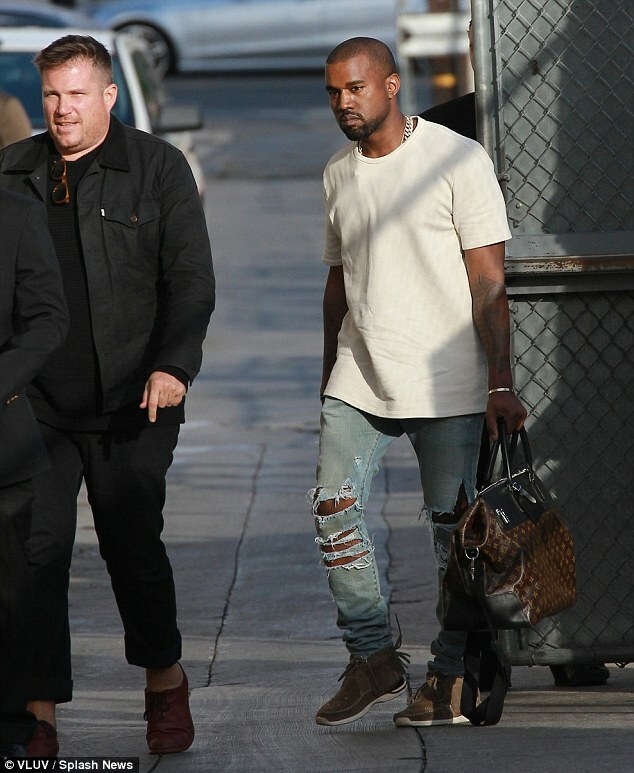 Mr West as we know him and see him around, his wardrobe seems to be filled with neutral, blacks, white and plain simple colours as we have noted in the range. 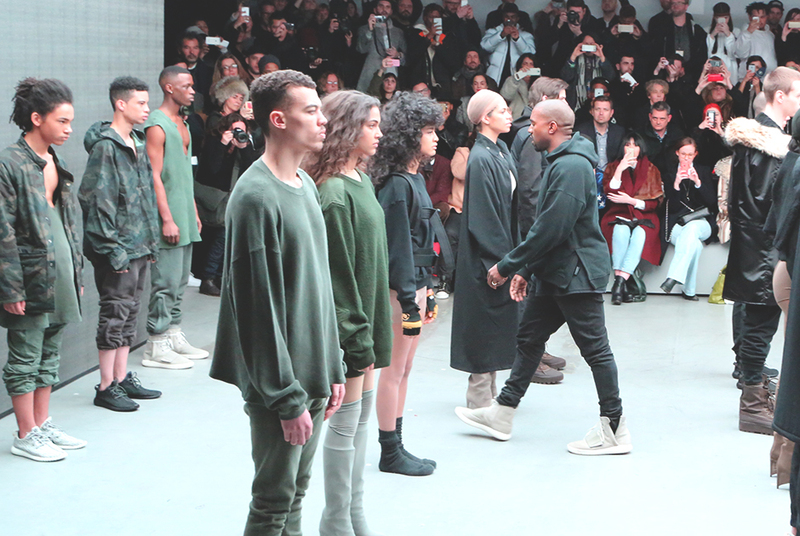 We would just keep you posted as we wait to see what more we would get from Kanye West and Adidas. It quite funny how all these fashion styles and trends all seems to make it’s way back onto the run way and back into our closet’s. But when we think back to when we were growing up, as kids our mom bought us clothes and because of our nature or that sense of adventure, these new items of clothes soon became ripped and teared. Your mother would let you continue wearing it until it no longer fitted or it was just past the stage of wear and tear. But as soon as you visited your grandparent’s house, you knew that you would get a little scolding as you were not allowed to be in their house wearing any broken clothes at all. As an adult, if you walked into your grandparents house today wearing or let me say rocking your ‘’Ripped Jeans’’ that same reaction you got when you were a kid would still be waiting for you. Having to explain that it is a trend or the latest fashion trend still seems an endless discussion in which you still walk away after having to apologise to grandma for wearing broken ripped jeans. 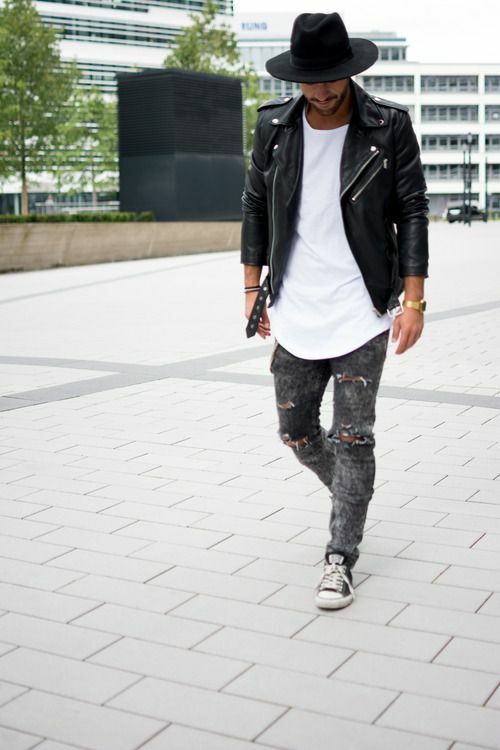 So why not lets see if we can help you out on this one, it has been seen on street-styles all across the world and even the biggest celebs in the scene would have been seen rocking the ripped jeans. Check out the latest looks in the trend and let us know what you think? Are you buying the ready-made ripped jeans this season or would you be creative enough to be ripping your own jeans. This year around at Str.Crd, i was not surprised one bit with the amount of Cape Town brands which was up in Johannesburg for the biggest urban and street culture event in Mzansi. 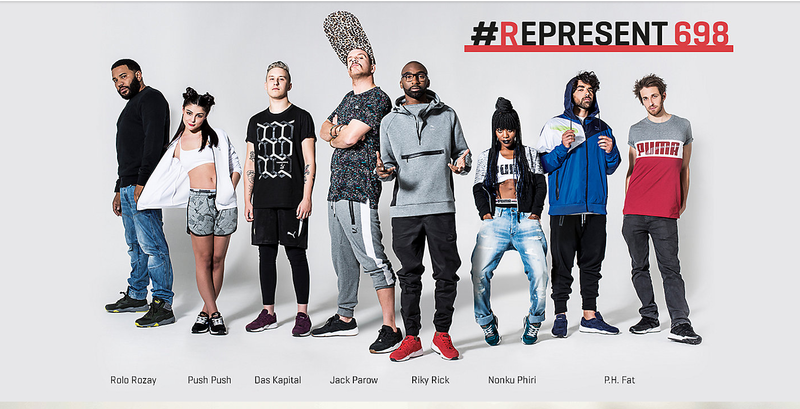 These guys came through as ”Community Chest” which was brands from Cape Town that had come together in order to bring up and showcase their brands at the Str.Crd event. One of those brands were ”Upper Echelon”, a brand which i heard of and saw some of the street-wear back when i was still in the Cape Town scene. After seeing the details, inspiration which they had to show at the event said alot about the brand and what they believe in and inspire to stand for. Upper Echelon is a street couture label aimed at enlightening individuals through designs that tell a story, while simultaneously opening individuals minds to what is relevant and most times overlooked in today’s society. We would be definitely seeing much more of these guys, and in that we need to keep pushing and supporting the local brands. 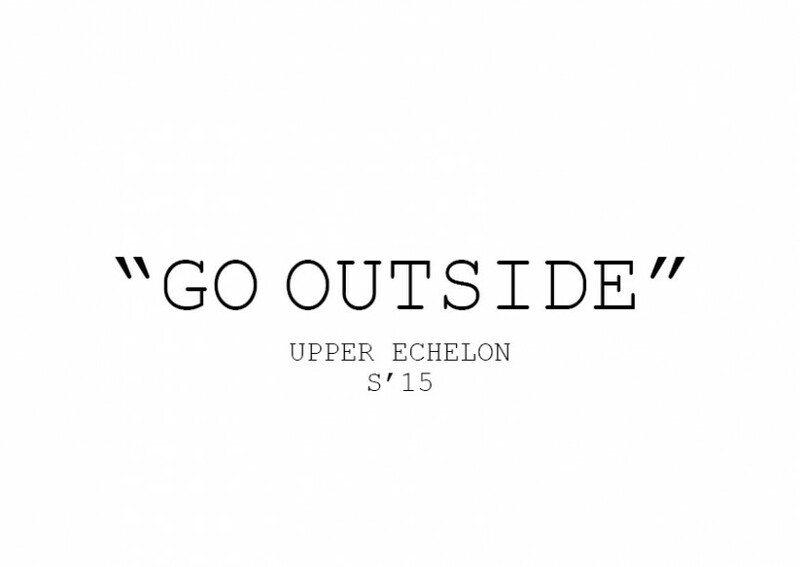 Check out the latest ”Go Outside” lookbook for Summer ’15.